All damage in PvP will appear reduced by 15% across the board. You may take 0.1% less damage per Defence level. Protection prayers now reduce 25% of incoming damage (Devotion remains at 75%). Eating in PvP will no longer drain your adrenaline. Enemy adrenaline bars have been hidden in PvP. Whenever your opponent dies, you will end up awarded the xp for that damage dealt. When you die, you may be awarded xp with the damage you dealt to opponents that didn’t die. The combat modes have new icons. Revolution have been given guidance hints when ever you first of all work with it. Tank armour and shields can offer damage decrease in PvE situations. 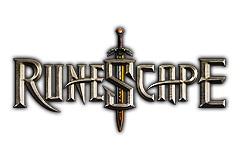 Mobs throughout RuneScape will be more aggressive towards those invading their personal space. You can now toggle chat to be permanently in focus via a choice from the top right on the chat window. Target information should certainly be more responsive which enable it to be undocked and moved anywhere on the watch's screen.